The Buckeye State Has Experienced Dramatic Improvements. Will it Get Even Better? Small Business Policy Index 2018: Ohio ranked ninth best among the 50 states. Small Business Tax Index 2017: Ohio ranked eighth best among the 50 states. SBE Council’s “Small Business Tax Index 2017” ranks the states according to 26 different tax measures. Among the taxes included are income, capital gains, property, death, unemployment, and various consumption-based taxes, including state gas and diesel levies. 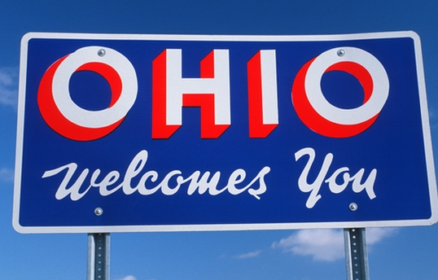 The Buckeye State: Getting Even Better for Small Business? Looking back over the past decade-and-a-half, key policies affecting Ohio’s environment for entrepreneurship, business, and investment have been transformed. And, more positive changes might be on the way. Of course, pro-business changes are always welcome by entrepreneurs and are certainly needed to continually improve a state’s competitive position. According to the Small Business Policy Index 2018: Ranking the States on Policy Measures and Costs Impacting Small Business and Entrepreneurship, which I write for the Small Business & Entrepreneurship Council, Ohio ranked a stellar ninth best among the 50 states. And it earned number eight on the Small Business Tax Index 2017. Among the state’s key positives, Ohio has no corporate income, corporate capital gains and death taxes. In addition, the state has fairly low workers’ compensation costs and wireless taxes, and no annual LLC fee. As for the state’s transformation, it has come mainly on the tax front. Consider that in recent times Ohio has eliminated its corporate income and capital gains tax; eliminated the state’s death tax; and made reductions in personal income and capital gains tax rates. In 2005, for example, Ohio’s corporate tax rate was 8.5 percent, and now it is 0 percent, while the individual tax rate has declined from 7.5 percent to 4.997 percent. Again, that truly is transformational. That’s certainly a welcome change for entrepreneurs and businesses, given that regulations are just as burdensome as, or sometimes more than taxes. Indeed, one of the big problems with regulations is that the costs are largely hidden from consumers and voters. While small business owners, for example, are on the frontlines of dealing with myriad government rules, regulations and mandates, most consumers and voters fail to realize that the regulatory burden imposed by government means the loss of businesses, investment, jobs, production and income. Ohio has made great strides toward streamlining regulations, but we need to go a step further to make sure Ohio is the best state in the country for job creation and work. ● Suspend the implementation of any regulation that negatively impacts job creation, outside of those that are necessary for health and safety purposes. ● Encourage more robust input from Ohioans on regulations by expanding the Common Sense Initiative to allow citizens to help locate and halt regulations that negatively impact businesses and job growth. These policy proposals are important. Even with what Ohio has already accomplished on the regulatory front, more work is needed. Consider that, according to a new analysis from the Mercatus Center, among 24 states being compared according to available information from State RegData, Ohio had the third heaviest burden among these two dozen states in terms of regulatory restrictions, coming in behind New York and Illinois. Ohio has had great success in reducing income tax burdens, now it needs to take the next step when it comes to rolling back unnecessary and costly regulations. Let’s hope there’s more positive transformation to come in the Buckeye State. Small businesses and startup activity will flourish under a regulatory regime that enables entrepreneurial risk-taking and business growth.